Bushbuckridge in South Africa is known for being one of the poorest areas in South Africa. 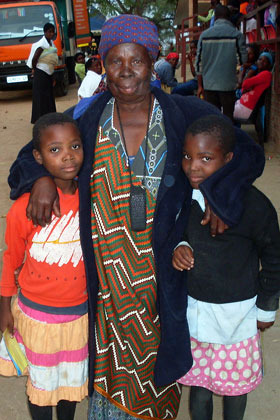 With the majority of its inhabitants being refugees from Mozambique who moved to the area during the time of war. For this reason, many of them were left vulnerable without homes to live in, and identity documentation that could grant them government help. Bushbuckridge was one of the first places Hands at Work moved into to begin a service centre and now hosts the majority of the children to whom we offer service in South Africa. Things have not always been easy, as many of the kids were not able to receive grants because they lacked South African identification documents (IDs) and birth certificates. At the beginning of July Hands at Work held a USAID sponsored grant jamboree in Bushbuckridge. The jamboree gathered government workers, social workers, home affairs officials and community shop owners in one place to help about 4000 community members, most of whom were orphans and the elderly in desperate need of obtain ID documents, birth certificates and government grants. Of the 4000 community members, 29 received grants (26 of whom are orphans) and almost 200 ID documents and birth certificates were issued. The jamboree was a great success and has created many new opportunities for children and families.